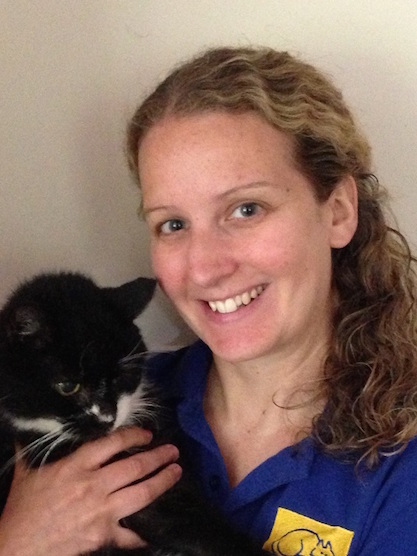 I started working for Cats Protection in 1998, as a Cat Care Assistant at our previous centre known as Barnjet. In 2004 we were incredibly excited to be moving to a brand new site, especially one as big at the National Cat Centre! Equally as exciting for me, was that I was being promoted to Deputy Manager. I was one of three deputy managers for three years when an opportunity came along to apply for a totally different role within Cats Protection – a Training Manager. I knew this role was going to teach me a whole lot of new skills, as well as give me the opportunity to teach others all the skills I had learnt over the years on basic cat care. I travelled around the whole of the South of England as far as Cornwall, Hereford, Norfolk and anywhere in between. I met so many amazing staff and volunteers along the way and it really opened my eyes to the amazing work that Cats Protection was achieving. In 2010, Betty, Manager at the NCAC, was retiring. I thought long and hard about leaving my role as training manager as I enjoyed it so much, but knew that putting in to action all the skills I had learnt and working with the team at Cats Protections largest centre was a great opportunity. A rare chance which I was lucky enough to be given, and I have never looked back. The team at the Centre are just incredible. Everyone is so committed to the cats and they have always listened to my ideas, even when they sounded a bit crazy. The Centre is going from strength to strength, which is purely down to fantastic team work from both staff and volunteers. I have owned cats since I was 10 years old. I think my closest bond was with Tammy, a Tortoiseshell Persian. We were so close I nearly (accidently) took her to school when I hadn’t noticed she had climbed into my bag! I don’t have any cats at the moment as I have somehow managed to marry a man who is very allergic – but I’m working on that. Plus, I have all the cats at the Centre to make up for that.